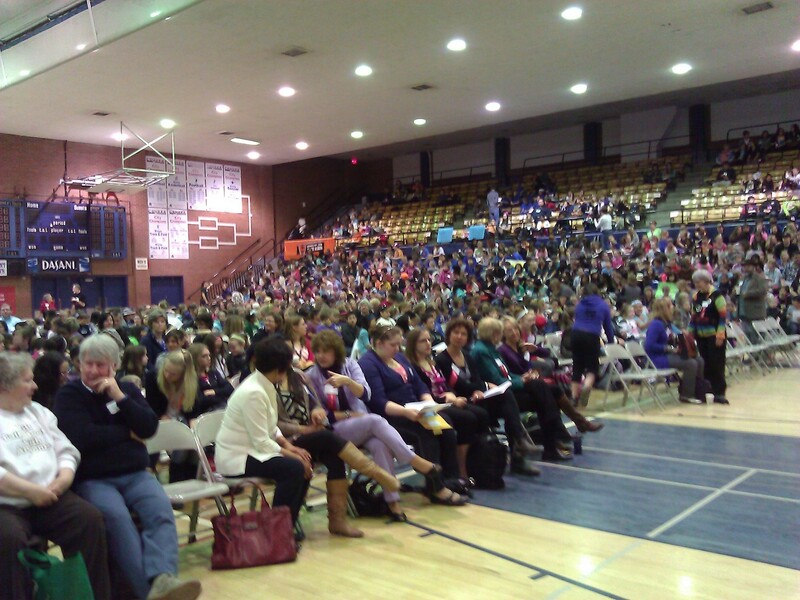 On April 20th, I had the privilege of being invited to speak at the Young Writers’ Conference in Calgary. This annual event began 30 years ago and has been going strong every year since. 1600 students (gr. 4-8) from 160 elementary schools in Calgary were involved this year. Each school in the district is allowed to send 10 students who are accompanied by one teacher. 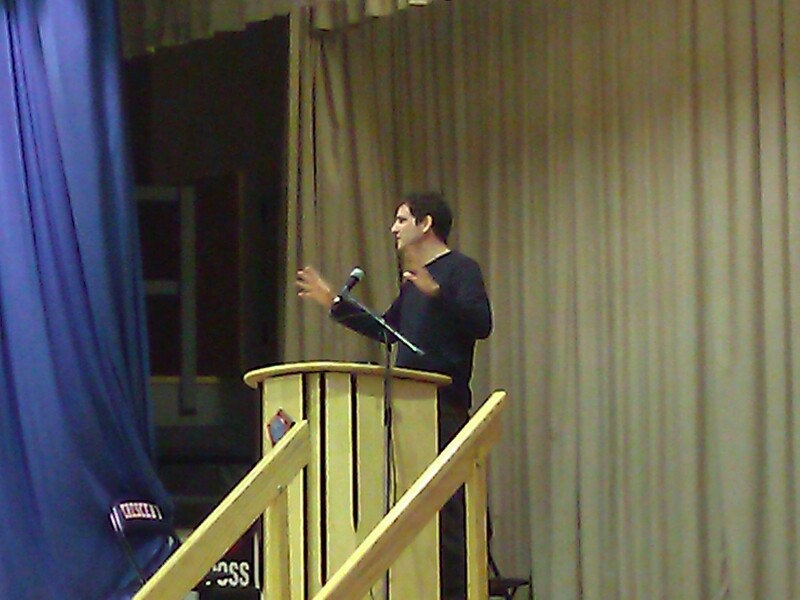 The remarkable day began in the gym of a high school with a keynote address from the award winning Canadian author, Kenneth Oppel – author of Silverwing, Sunwing, the Airborn series and his latest teen novel about young Victor Frankenstein “This Dark Endeavor” (to name a few). Following his entertaining and most interesting keynote, the students dispersed into their various mini writing workshop, each one presented by a local (or not so local!) children’s author, including Hazel Hutchins, Tololwa Mollel (Orphan Boy) and Sheryl McFarlane (Waiting for Whales and Jessie’s Island). Students could choose any number of amazing writing workshops – from poetry, to creating characters, to writing with sound. While the students attended their workshops, their teachers met in the drama room (with a freshly painted floor!) with me – where I presented some ideas from my Writing Power book. The teachers were very excited as this was the first time that a special workshop was offered just for them! I met a lot of wonderful people in the speakers lounge, including Yellowknife author Jamie Bastedo – with whom I shared breakfast and a wonderful chat about writing and many other interesting topics. 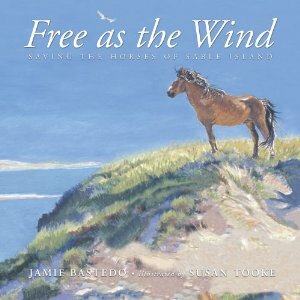 He was kind enough to give me a signed copy of his book “Free as the Wind – Saving the Horses on Sable Island” which I will definitely be using in my upcoming Nonfiction Writing Power book (not yet written!) as an authentic example of the power of persuasive writing! It was indeed an honor and a privilege to be involved in this amazing event – which celebrated the joy of writing with both present and future writers. Thank you to all who helped to make this experience happen!